No one wants travel illness to wreck their buzz! A US national travel survey commissioned by Novartis, revealed that 63% of travelers get sick on holiday. A well functioning immune system is the BEST insurance you can have to ensure that you don’t pick up more than your luggage when traveling. Boosting immunity, through diet, lifestyle and supplementation can make a huge difference to a number of conditions. However, it’s not just illness we have to worry about when traveling. See below for some tips on how to be prepared for 5 top travel complaints. Take a natural immune supporting supplement which contains bee propolis[i][ii], a natural antibiotic, and olive Leaf[iii], an antimicrobial agent. These have been shown to be helpful in preventing and treating gastrointestinal infections. Bee Prepared immune support contains both and is suitable for all ages. Capsules may be opened into juice, smoothies or yogurt. Also take a multi-strain probiotic containing Lactobacillus GG combined with Saccharomyces boulardii. Both of which have been clinically to help prevent traveller’s diarrhoea[iv]. Optibac is a great choice. Take care in selecting food in areas with particularly high risk of bacterial and protozoan infection. 2) Colds, Flu and viruses are often spread when traveling in close quarters on planes, trains and crowded areas. 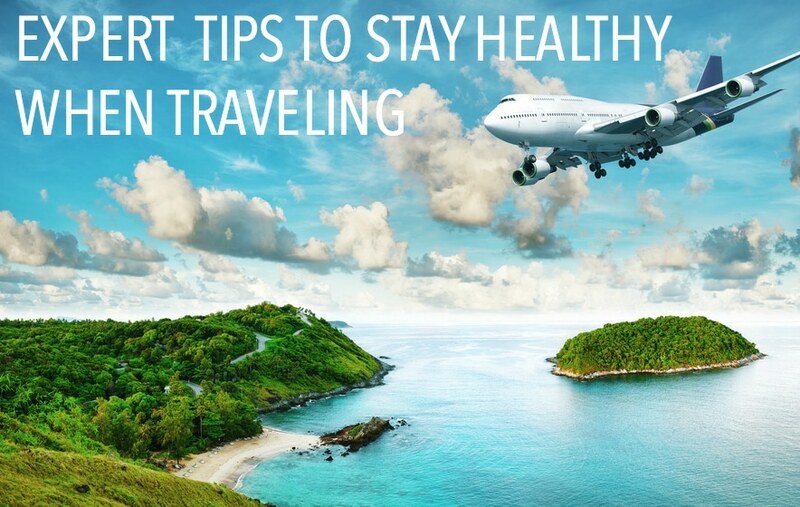 Support your immune system before and during travel with foods such as citrus fruits, broccoli, garlic and onions and avoid sugar (it encourages bacterial growth and can compromise immunity). Add natural immune supporting nutritional supplements to your diet. Beta glucans helps aid the immune system in developing antibodies to microbial and fungal invaders and elderberry which helps slow the rate of viral infection by altering the viral cell membrane making it difficult for the virus cells to move and to replicate. Propolis, again, is an amazing natural choice. Bee Prepared contains all of the above. Revital sells it & ships worldwide. 3) Sunburn is a common issue and in addition to applying suncream, diet and supplements may be beneficial in preventing and recovering from sunburn. Eating antioxidant rich foods or taking antioxidant supplements can aid the skin’s resistance to harmful UV rays, as well as, help the skin heal when there has been excess sun exposure. Antioxidant rich foods include berries and beans. Acerola cherries, which can be bought in supplement form (found in Bee Prepared immune support mentioned previously), have the highest levels of Vitamin Cof any fruit, with 100 g fresh berry providing 1677.6 mg of vitamin C, equivalent to 1864% of daily-recommended intake. Taking elderberry[v] and propolis [vi] may be beneficial in preventing sunburn and aiding in reducing sun damage due to their anthocyanin and flavonoid content. These phytonutrients have anti-inflammatory and photoprotective actions. Taking bee propolis internally to support systemic immunity may help to prevent skin rashes due to its antifungal, antibacterial and anti-inflammatory actions[vii]. Tea tree oil can be used as an external antifungal and antibacterial treatment for the skin by adding a few drops to a bath. Calendula cream is antimicrobial as well as soothing to irritated skin. 4) Insect bites Diet supplements and herbal repellents can help to combat insects. Many commercial insect sprays are full of harmful chemicals, those are best avoided. Eating garlic may help to deter bugs from biting by changing our natural scent. Herbal repellent sprays containing citronella and lemon balm maybe beneficial in warding off insects. Incognito is a great deet and chemical free, natural choice. They even won a Queen’s Award! 5) Allergies and Hay Fever can be managed a number of natural ways. One of the best ways to manage symptoms is again, to ensure that the immune system is functioning well, which can have on-going effects. Various nutrients have antihistamine and anti-inflammatory actions in the body and have been shown in studies to be effective for boosting immunity, including elderberry & acerola cherries (rich in quercetin), bee propolis (high in phenolenic compounds, potent antioxidant substances which have anti-inflammatory properties) and reishi mushrooms which contains oleic acid and cyclooctasulphur compounds, both potent natural anti-histamines. Adding immune boosting foods such as citrus fruit, broccoli, berries, eggs, oysters, pumpkin seeds, oats & rye to your diet and reduce sugar and alcohol intake. Using barrier methods such as HayMax allergen barrier balms, to block pollen from entering the nose. Studies show this can help stop a large percentage of the pollen. Shower when returning from outdoor activities and wear wrap around sunglasses. Bee Prepared Immune Support Daily Defence and Bee Prepared MAX Strength for when you need an extra boost. Calendula Cream and tea tree oil, Nelson’s is a great brand for both.